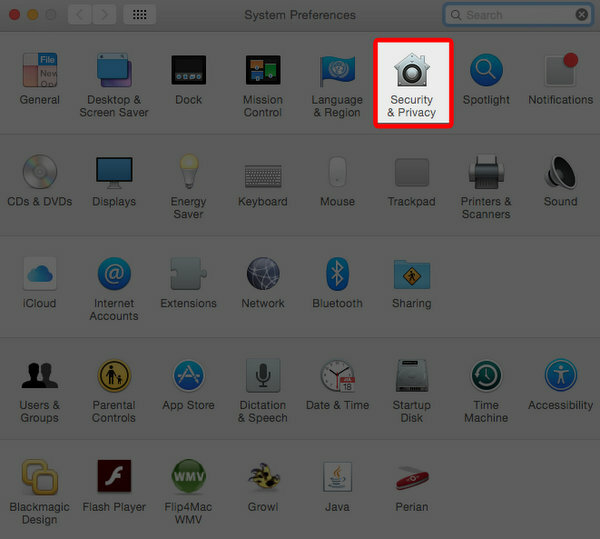 You will notice a section titled “Allow apps downloaded from:” but the selections are grayed out. 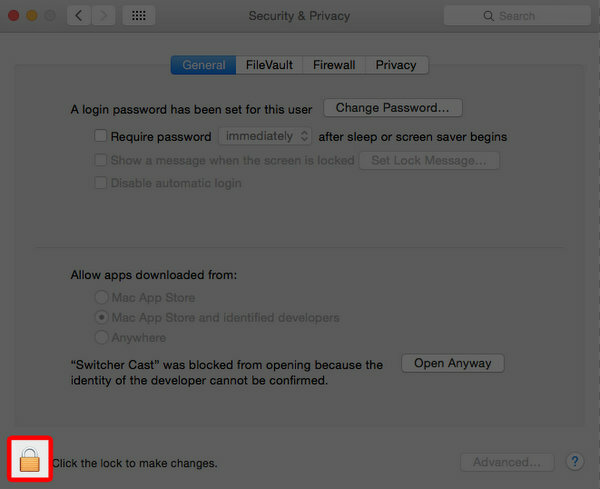 To make the changes, unlock the settings by clicking the lock in the lower left of the screen. 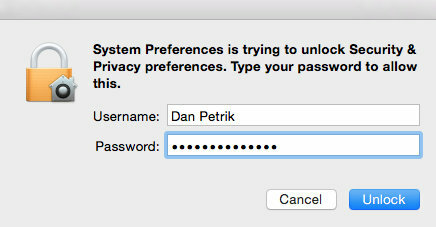 You will need to enter your Username and Password associated with the Mac to make the change. 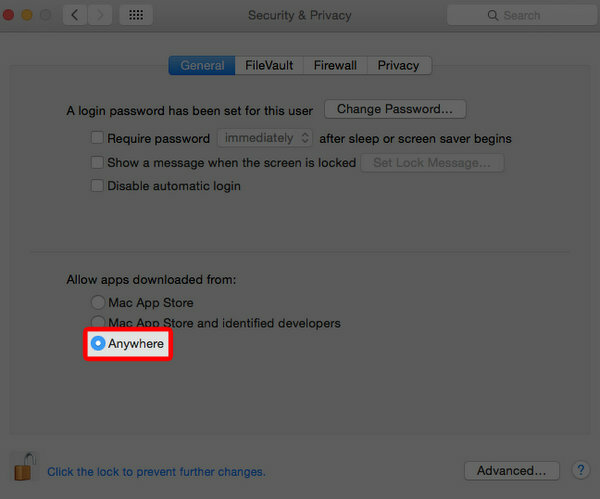 Under the section titled “Allow apps downloaded from:”, select the option “Anywhere”. 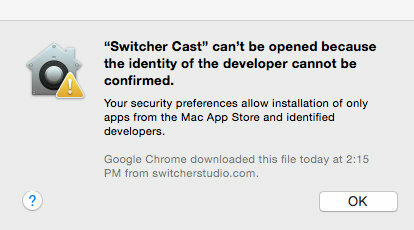 A warning will come up. 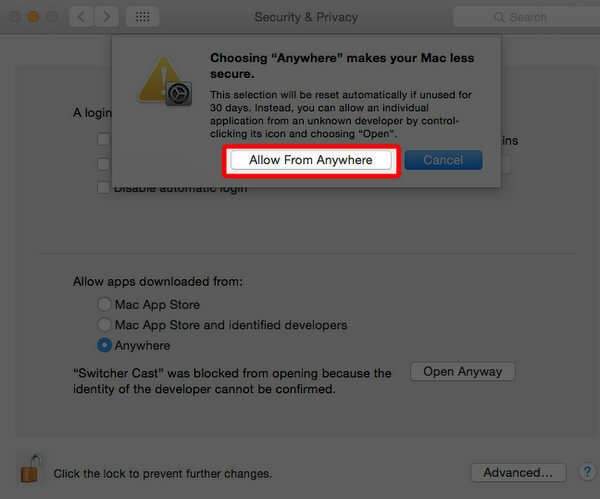 Select “Allow from Anywhere”, and Switcher Cast will now be allowed to open.